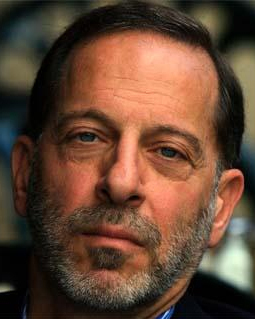 Rashid Khalidi, Edward Said Professor of Arab Studies at Columbia University, former advisor to Palestinian negotiators, and author of Brokers of Deceit: How the U.S. Has Undermined Peace in the Middle East (2013) and The Iron Cage: The Story of the Palestinian Struggle for Statehood (2006). 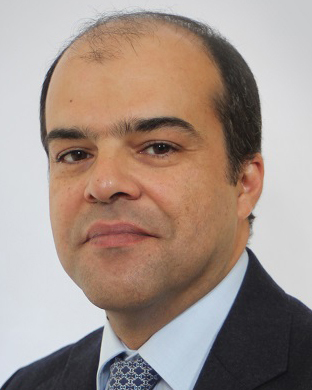 Mouin Rabbani, Senior Fellow with the Institute for Palestine Studies, Policy Advisor to Al-Shabaka: The Palestinian Policy Network, Contributing Editor with Middle East Report and Co-Editor of the ezine Jadaliyya. Former Senior Middle East Analyst with the International Crisis Group. 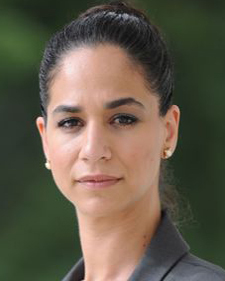 Noura Erakat, Human rights attorney, Assistant Professor at George Mason University, and member of the Legal Support Network for the Badil Resource Center for Palestinian Refugee and Residency Rights, and co-editor of the ezine Jadaliyya. Q – Why do you think Hamas didn’t accept the terms of the ceasefire? MR – “Hamas, and with it other Palestinian organizations such as Islamic Jihad and the Popular Front for the Liberation of Palestine, have indicated that they were not consulted on the Egyptian cease-fire proposal, and that it has not been formally presented to them but rather released to the media after its terms were agreed with Israel. “In terms of the proposal’s contents, what these organizations and many Palestinians object to is that it simply restores a 2012 ceasefire agreement that Israel has systematically violated and does not provide any guarantees such violations would cease. These violations consist not only of periodic armed Israeli attacks on the Gaza Strip, but also Israel’s refusal to respect clauses on the rights of fishermen in Gaza’s territorial waters and farmers in land close to the Gaza/Israel boundary. “Hamas has additionally stated that it would not accept an agreement that does not provide for the immediate re-release of Palestinian prisoners who were released by Israel in 2011 as part of a prisoner exchange with Israel, but re-arrested by Israel in the last month. “More broadly, Hamas and other Palestinian organizations are averse to returning to an untenable status quo, which lasts only until Israel once again decides to launch a major assault on the Gaza Strip, and which does not include concrete steps towards lifting the ongoing and prolonged blockade of the Gaza Strip. NE – “Within two days of Israel’s aerial assault on the population of the Gaza Strip, Hamas announced five conditions for a ceasefire: 1) stop the airstrikes; 2) observe terms of 2012 ceasefire; 3) release the Palestinians released during the Shalit prisoner exchange who were recently re-arrested; 4) lift the siege; and 5) don’t interfere with Palestinian unity government. What little is known about the proposed ceasefire agreement is that it demands a cessation of violence with no conditions thus reverting to conditions that are even worse than the status quo ante. Q – What do you think Israel’s actual goals for bombing Gaza are? MR – “In an ideal world, the international community would act to arrest and reverse Israel’s systematic impunity in its dealings with the Palestinian people and ensure Israeli accountability for its actions. “It would also need to address the underlying causes of the current crisis, at least the key shorter-term ones formed by the ongoing blockade of the Gaza Strip and seek to ensure steps towards normalcy in the Gaza Strip. MR – “At the very least one would have expected Mahmoud Abbas to urgently travel to the Gaza Strip and engage in efforts to lead the response to end this assault. Instead he has been sitting in Ramallah with his main concern that Hamas emerges weakened rather than strengthened from this crisis. It’s an abject failure of leadership.